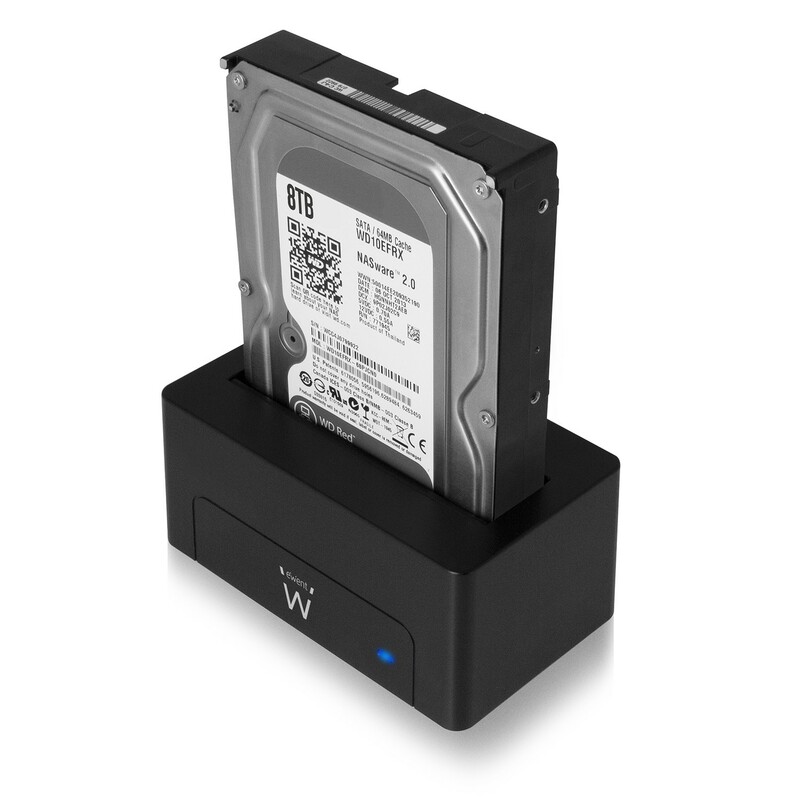 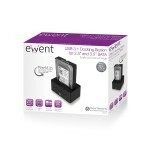 The Ewent EW7012 Docking Station offers you a quick and easy way to connect a 2.5 or 3.5 inch SATA hard drive to the USB port of your computer. 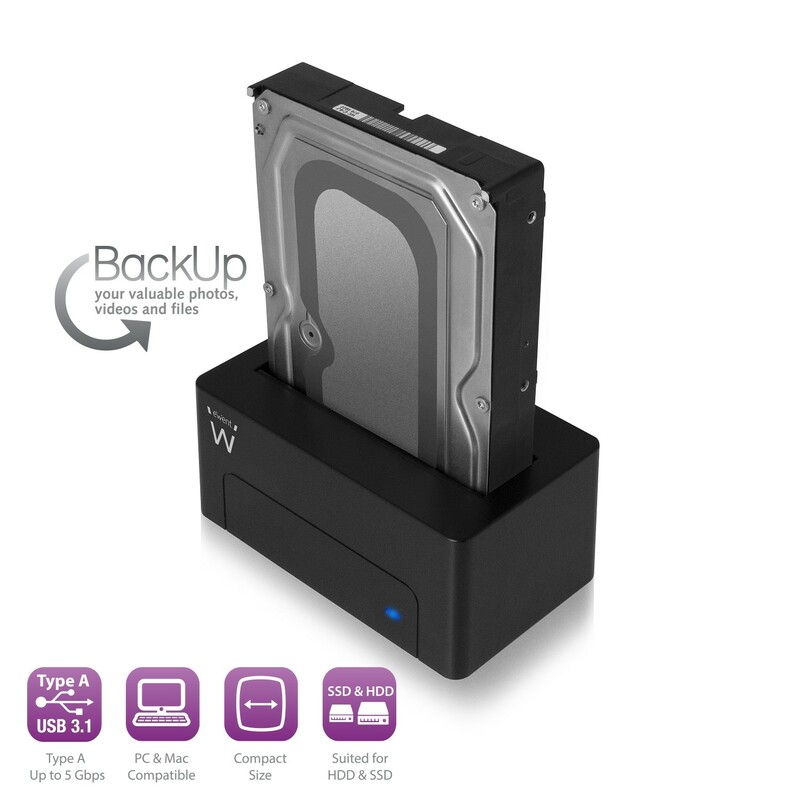 This allows you to easily exchange large amounts of data or make a backup. 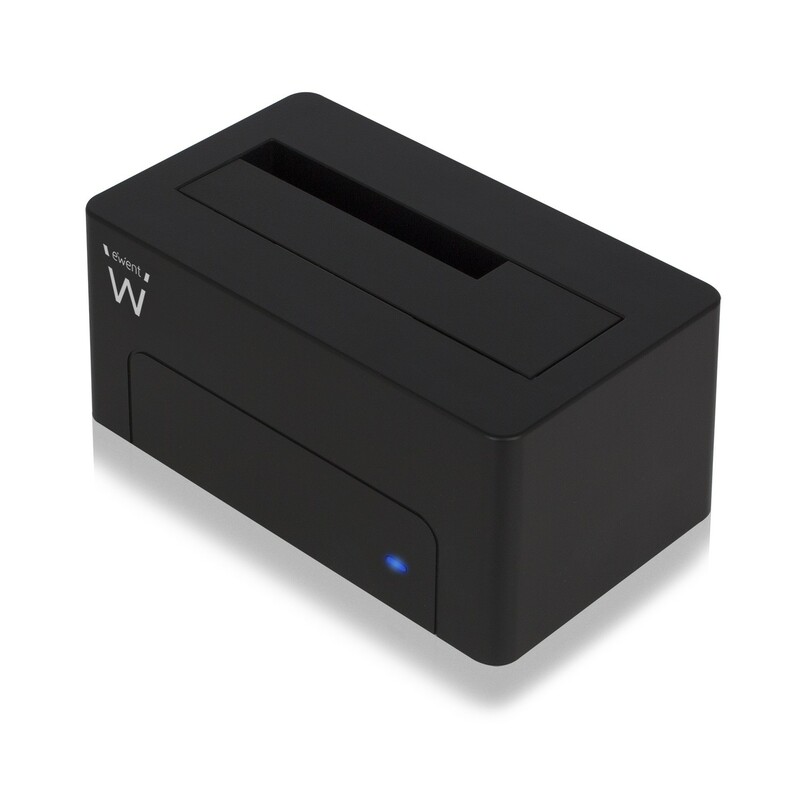 Use the high speed USB connection to move or copy your files fast. 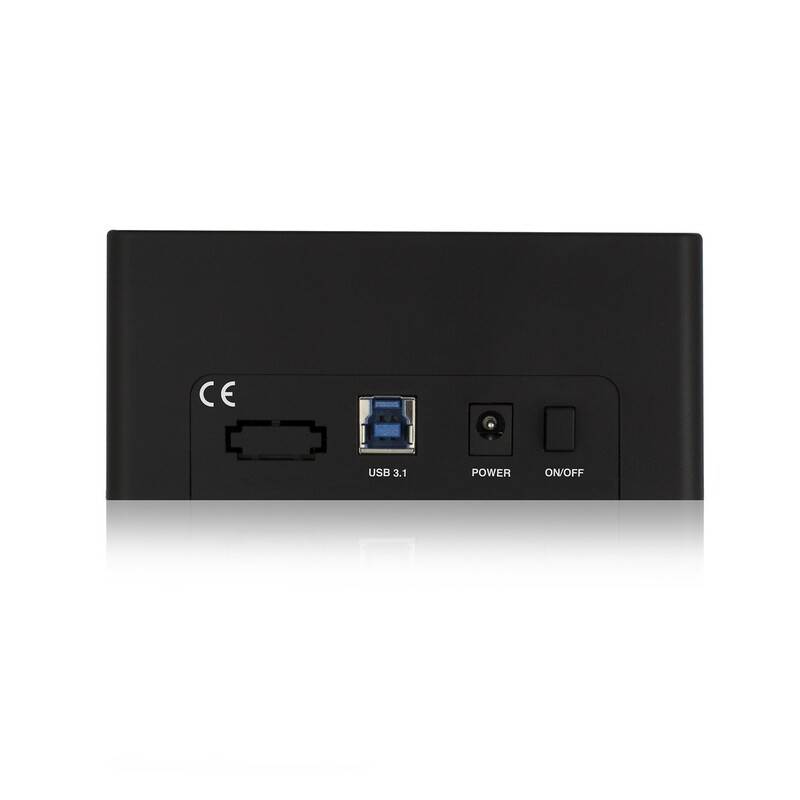 The EW7012 Docking Station has a SuperSpeed USB 3.1 Gen1 (USB 3.0) connectivity which enables you to transfer data at a maximum rate up to 5Gbit/s. 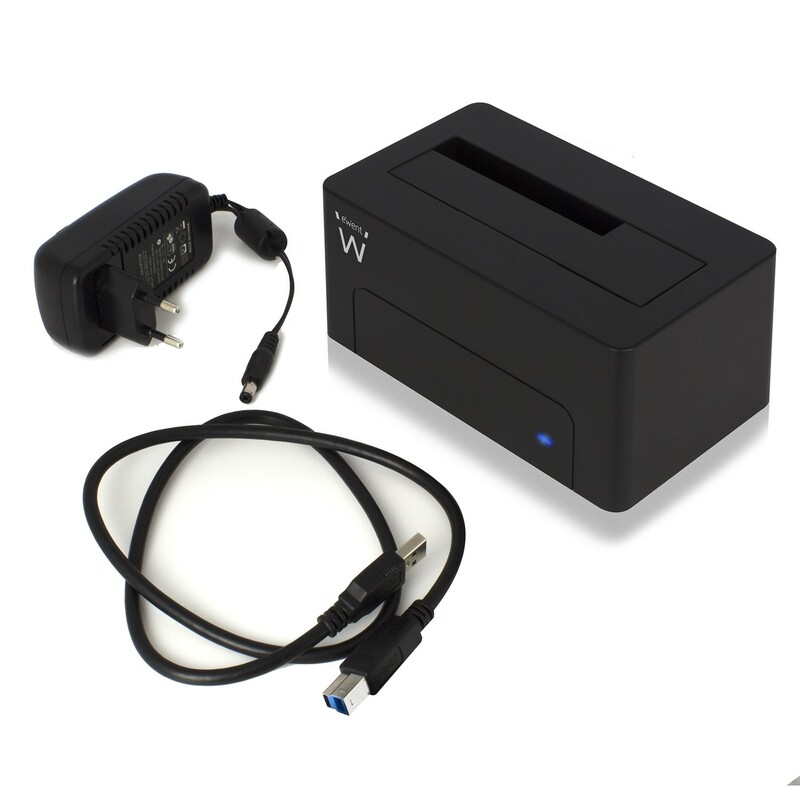 The hard disk enclosure is provided with an USB 3.1 Gen1 (USB 3.0) cable. 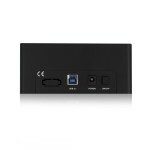 No USB 3.1 Gen1 (USB 3.0) port on your computer? 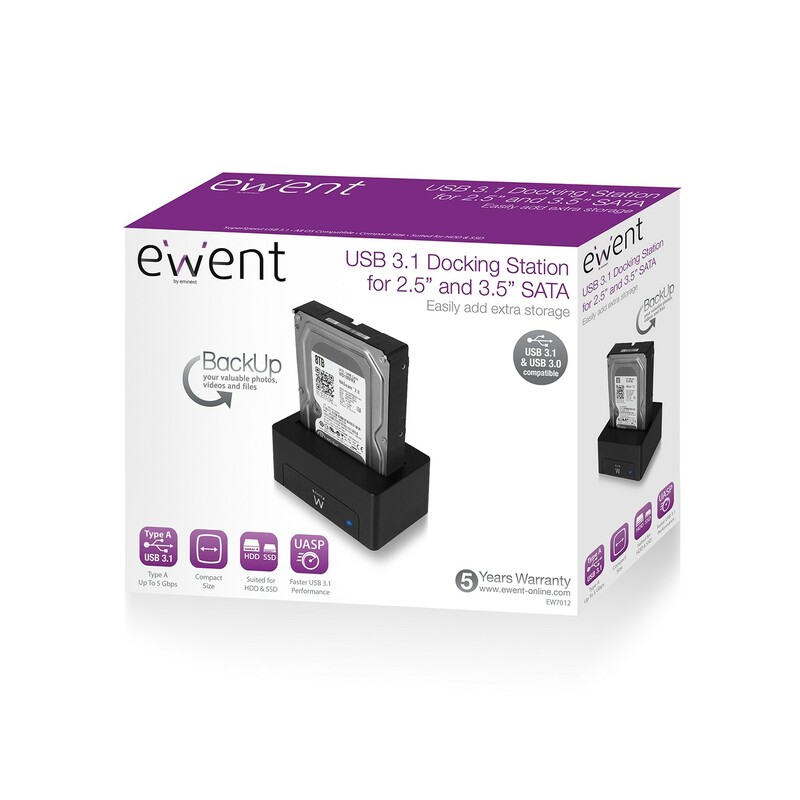 Just connect the Ewent EW7012 Docking Station to your USB 2.0 port. Connect the Docking Station to your computer with the enclosed USB cable. The power is provided by the included power adapter.